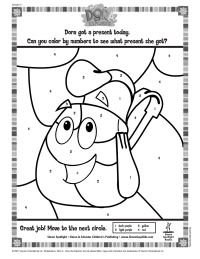 Use this Dora-themed color by numbers sheet to practice learning numbers and colors. Created by Simon and Schuster Resources. Find books about Dora the Explorer.